Have you ever looked at someone at rest and thought, “Wow, they look beautiful for their age!” But then it happens…they smile, and all of a sudden that “natural look” turns into an “overdone and full look.” Well, Restylane listened and now there is a new technology in the world of cosmetic treatments that can provide a more beautiful look that STAYS natural on animation and when your face moves! Restylane Refyne is an FDA approved filler created to address the number one aesthetic complaint-nasolabial folds, also known as laugh lines that run from the sides of the nose toward the corners of the mouth. 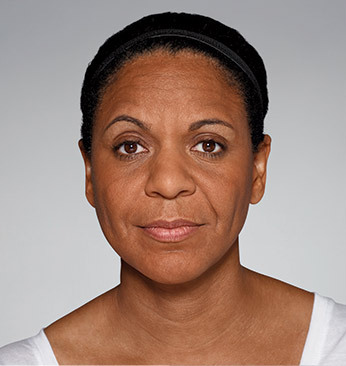 These lines form as a result of a loss of skin elasticity due to repeated movements, but Restylane Refyne has advanced XpresHAn technology which allows you to maintain natural movement while also correcting the appearance of facial wrinkles. This innovative cross-linking technology also Refynes marionette lines, peri-oral rhytides, and other moderate wrinkles while maintaining a natural, youthful look. Now you can smile with confidence with a hyaluronic acid filler that lasts up to 12 months!